The self closing shower stop has a cast brass body with a replaceable seat. The faucet has a cam operated self-closing stem that is lifted off the seat when the handle is rotated. The return spring is stainless steel. The replaceable seat, stem, centerpiece and lever handle are all brass. The packing is a reinforced rubber compound. The cam action roller bearings are brass. 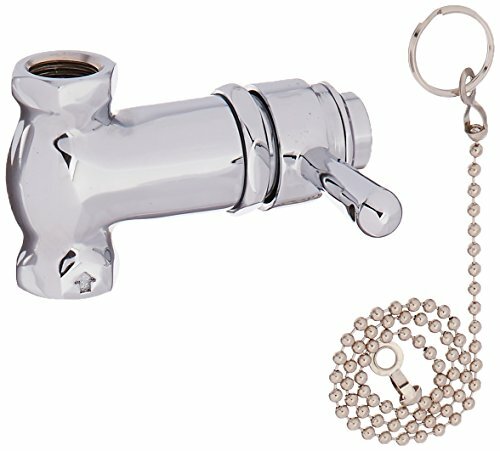 The shower stop has a polished chrome plated finish. The vandal-resistant handle ("V" suffix) has a set screw to hold down the cap from being removed. A bead pull chain and ring is included in the 0335-1/2 and 0335-V1/2.